We look for self-motivated people in line with our Corporate Philosophy. In Sanden, we embrace our founding spirit “Let us develop with wisdom and prosper in harmony”. We operate in 53 locations in 23 countries where we employ approximately 15,000 people around the globe. This ensures a truly multi-cultural working environment. Our official company language is English. 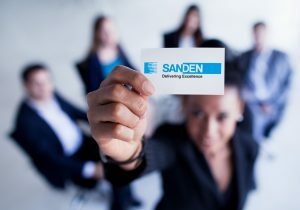 Sanden offers you the opportunity to challenge yourself and develop new skills. Our employees appreciate the broad insights and responsibilities which enable them to develop beyond their area of expertise. We search for people who want to succeed and contribute with their own ideas and creativity. Our employees value the supportive working atmosphere which leads to excellent team work and cooperation we are all proud of.